As a child of the 80s, Russia has always held a certain amount of foreboding for me. When I was in high school, John Clark’s older brother, a captain in the U.S. Army, brought home a Soviet tank commander’s hat from one of his tours abroad. For a kid reared on Firefox and Red Dawn (and who could forget Dolph Lundgren’s stone-faced portrayal of Captain Ivan Drago in Rocky IV), it was like holding something I wasn’t supposed to for fear that it would taint my soul. After all, I was living in South Florida with parents for whom thirteen days in 1962 were still a vivid memory. History class offered a constant reminder that the Cold War might spike a fever and plunge the planet into Mutually Assured Destruction. Even the Russian alphabet was alien: How could my globe read U.S.S.R., while their Olympic athletes sported red jerseys initialed C.C.C.P.? It’s nearly two decades since the Wall came down, and today a guy can write a comic book in Atlanta and have it play on screens in Moscow. Maybe the bear is in the woods no more, but something about this poster still seems forbidden to me, as though it was smuggled out from behind the Iron Curtain by a defector, rather than delivered to me express via DHL. Meanwhile, in the next room the newswoman is describing a proposed Massachusetts law as so draconian, it sounds “straight out of Soviet Russia.” Old habits die hard. I’ll be back after the Labor Day weekend with the introductory installment of this website’s final recurring feature, 5 [blank] I Like. Lol. That campaign ad was fantastic: “if there is a bear.” They need to bring back these not-so-subtlety-symbolic political ads. 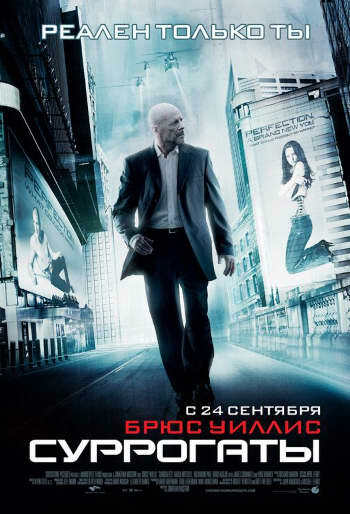 And cool…now I know how to say surrogates in Russian. (Ok, maybe I still can’t say it…) But in case we are ever invaded (by the “bear”), it might come in handy. A cousin spent some time in Russia and came back with a Red Guard winter jacket. Of course, me being a socialist, I think it’s keen.